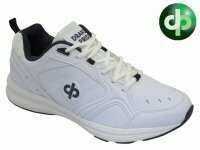 Lawn Bowling Shoes - Superb lawn bowling shoes - Free delivery! Our range of mens lawn bowling shoes which all display amazing quality, and serious value for money! Smart, distinctive - a fashion classic! These specially selected ladies lawn bowling shoes are not only fashionable but simply the most incredibly comfortable shoes you have ever worn! Priced to clear, these lawn bowling shoes are generally "end of line" editions. All shoes are in perfect condition. Serious value for money! Best selling Lawn Bowling Shoes! A shortcut to show you the lawn bowling shoes that our clients love the most. These models are ordered time and time again. Classics!